Amazingly enough, these fluorescent cupcakes are 100% edible! 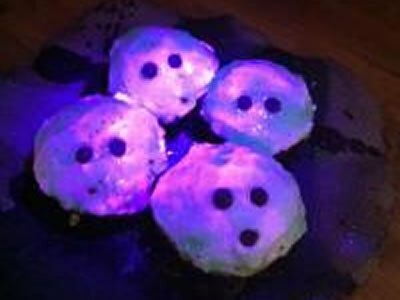 Thanks to the quinine in tonic water, we have a no fail recipe that you and your students can follow to make your own – just in time for a Halloween lesson on fluorescence at the end of the recipe! Enjoy with your classroom.